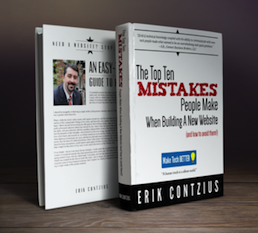 We are proud to present a free e-book: The Top Ten Mistakes People Make When Building A New Website (and how to avoid them). This simple guide is perfect for anyone considering starting to work on a new website, or updating their present one. Simply subscribe to our newsletter and you’ll be sent the link to download. It’s that simple!